You hear everybody talking about the dangers of SOPA and PIPA, but Wikipedia has taken it a step further and gives us all a vivid example of what the internet could look like if SOPA and PIPA are enacted. 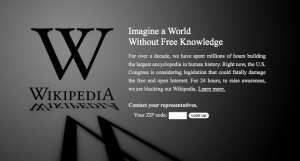 Wikipedia has shut down the english language encyclopedia for a 24 hour period. I never realized how much I use Wikipedia until today. Makes me think I really should get around to donating to the Wikipedia project. Wow. WordPress, too! 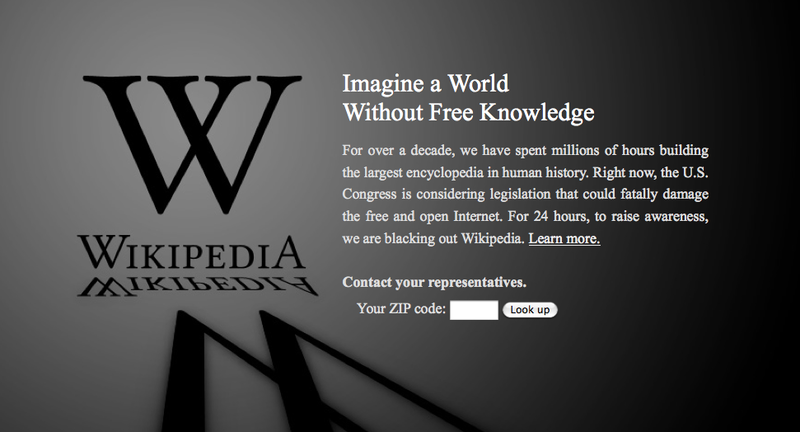 Let’s hope these acts get the point across and stop SOPA and PIPA.